After a quiet morning at Stradonia we head over to the Main Market Square. As usual, it’s buzzing with life. 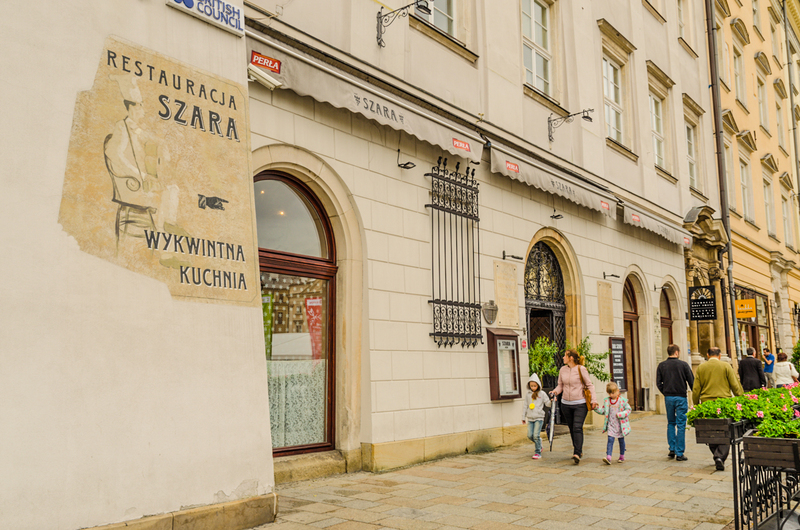 For the first lunch of the trip we stop at “Szara” Restaurant, located right in the heart of Kraków, overlooking the square. 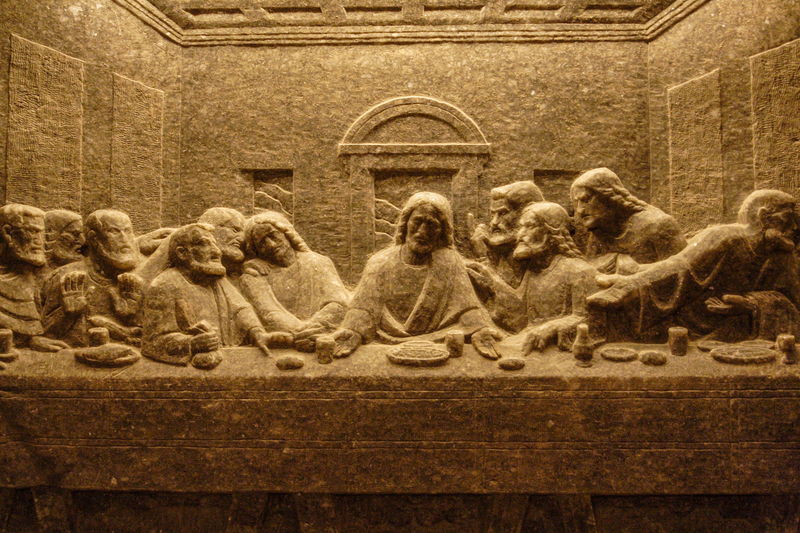 The restaurant serves delicious and, considering the location, very reasonably priced food. A meal here usually requires a reservation, so we recommend booking in advance. It is also a wonderful place for a romantic dinner. 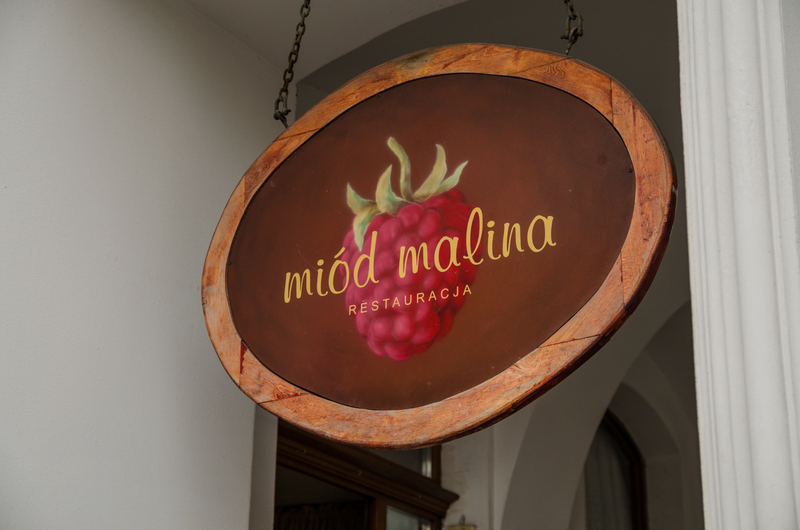 The restaurant is known for its beautiful interior, with an especially lovely vaulted and decorated ceiling. The atmosphere of a bygone era; white tablecloths, serviettes, and old fashioned, immaculate service all create a wonderful dining experience. The menu is eye-catching, offering a wide range of meat, fish, and poultry dishes. 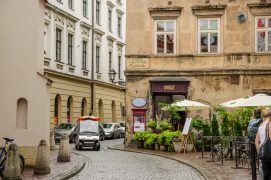 A simple mushroom soup and the herring starters are to be recommended, as is the perfectly prepared veal schnitzel, guinea fowl, and a roasted plate of veggies with halloumi cheese, all washed down with a delicious glass of house wine. 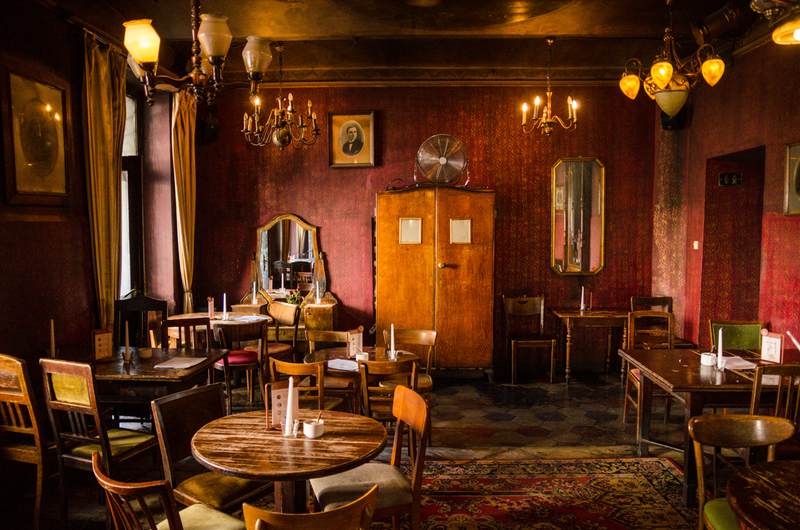 Interesting fact: The bar area of the restaurant was used for a scene in the movie ‘Denial’ with Rachel Weisz. The staff of the restaurant will be more than happy to tell you all about it. We stroll through Grodzka St, back to Stradonia to be collected for a half-day private tour of Auschwitz. 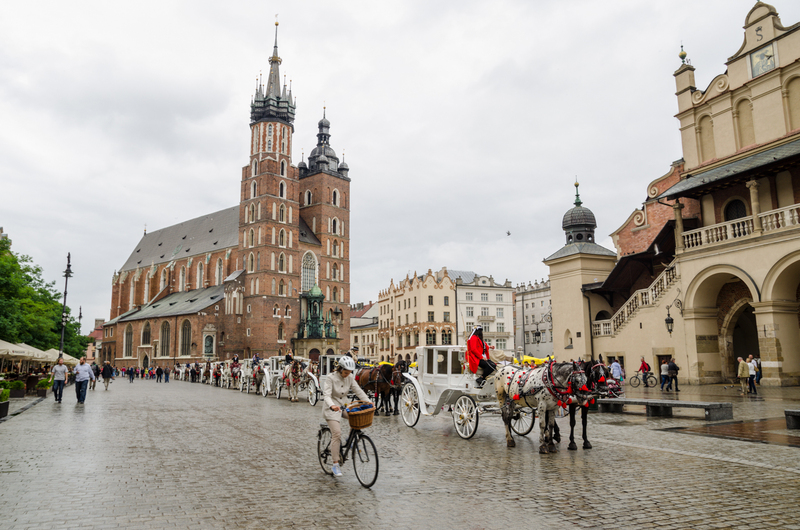 Many tours depart from Kraków’s train and bus station but they can be customised to meet you at your preferred location. It’s a recommended option for those seeking a slower and quieter experience, allowing time to soak everything up at your own pace. Accompanied by our private guide, we travel out of the city to the town of Oświecim, roughly an hour away. The programme of the visit comprises the introduction to the origins of the camp, its history, and the everyday life of its prisoners. Established in the early 1940s by the Nazis, Auschwitz was originally intended for Polish political prisoners. 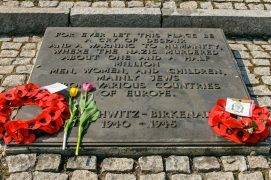 Later, when it was extended to include the neighbouring site of Birkenau, it became a larger concentration and extermination camp, primarily for European Jews. Throughout the five years of its inglorious operation, over 1.5 million Jews, Poles, Italians, and Frenchmen perished here. The prisoners of Auschwitz originated from every country in Europe. 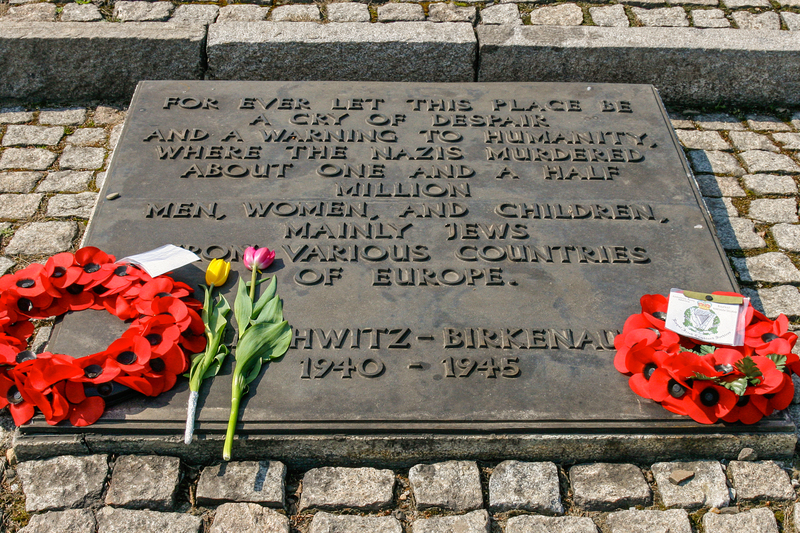 Auschwitz has become a symbolic reminder of terror, genocide, and the Holocaust. 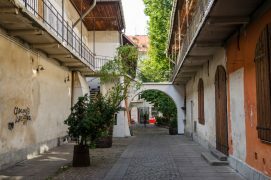 We visit the crematoriums, the gas chambers, and examine the exhibitions inside the old prison blocks. We also experience the vastness of the Birkenau site and walk the railroad track that crosses the compound, passing the remnants of 300 barracks used to house over 200,000 prisoners. We stop at the bookstore with its wonderful selection of key historical works, picture books, and videos for purchase. Although deeply saddening, the visit to Auschwitz-Birkenau is one which every person should take once in their lifetime. After paying our respects at the camp’s memorial, we conclude the visit and, with heavy hearts, head back to Kraków. 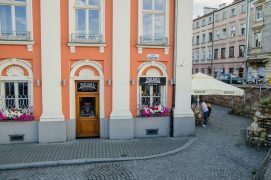 Our next stop is Kazimierz. 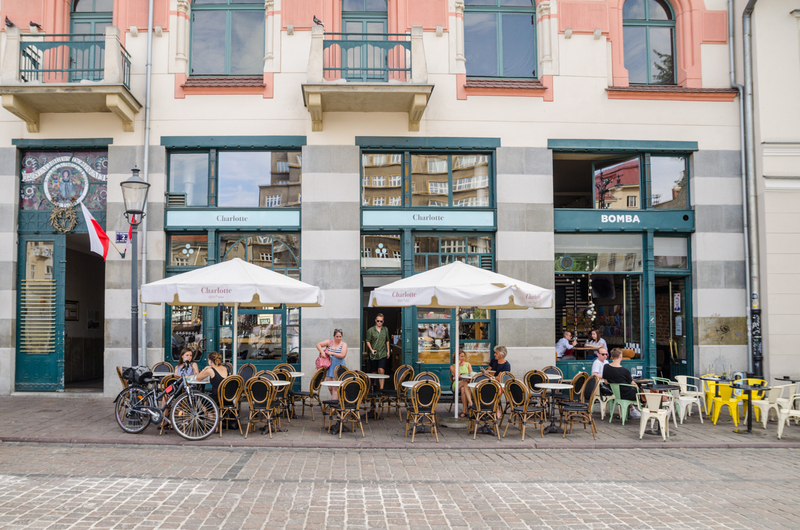 This area is home to some of the coolest bars in the city. 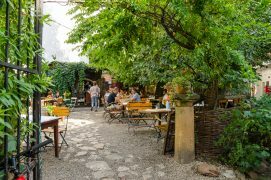 Depending on the mood you can end up in a fancy lounge, a killer beer pub, sophisticated cocktail joint, intimate indoor garden or, if you’re really lucky, perhaps even on a lively dance floor. 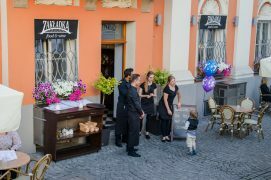 This time we choose Alchemia situated on Plac Nowy, a bustling square right in the heart of the party. It’s still quite early, but we manage to secure a table inside one of the rooms. It’s a great place to start our evening and enjoy an aperitif cocktail. 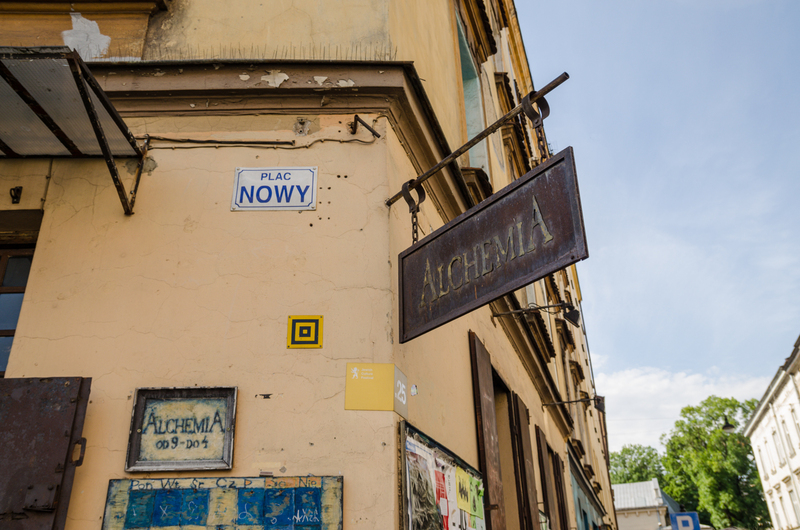 Alchemia is a hidden gem with a lot of character and a brilliant atmosphere. 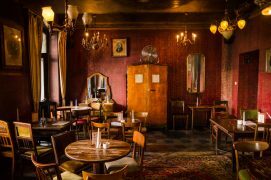 The interior is dark and rustic, but has a great upbeat feel to it. Don’t miss a wardrobe door which leads through into another room. 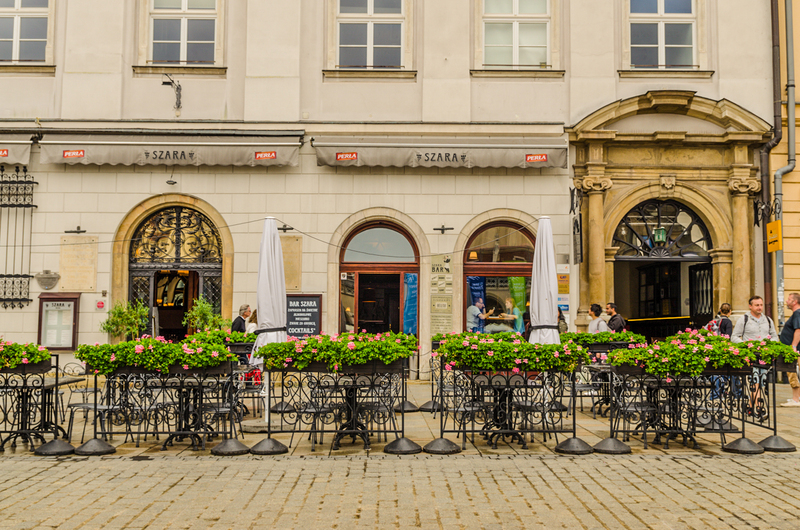 After a refreshing drink, we take a walk through the Kazimierz quarter to Podgórze, a district located on the Southern bank of the Vistula River. 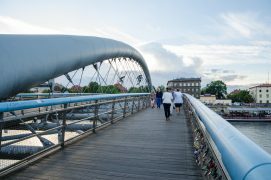 For the last few years, Podgórze district has been undergoing many changes and is slowly turning into one of the most vibrant areas of Kraków. 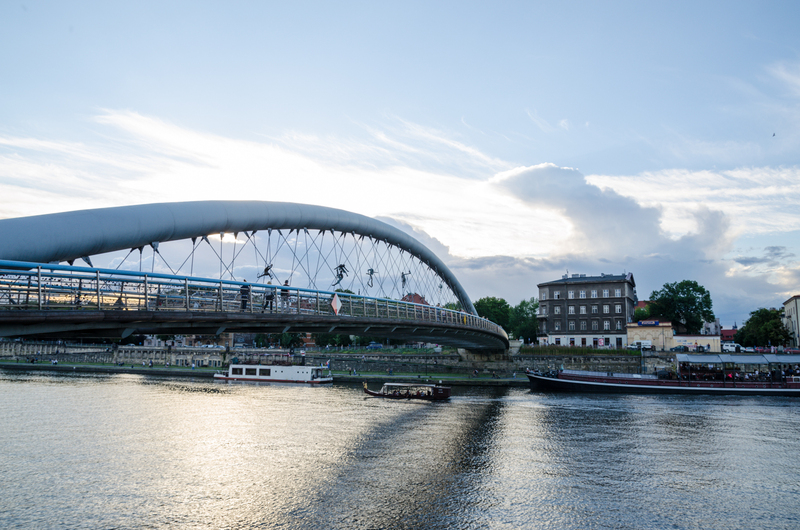 It’s only 10 min walking distance from the old town, passing by a beautiful footbridge that crosses over the River Vistula and connects Podgórze with Kazimierz. 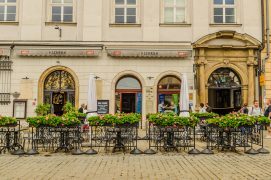 It has everything: lively bars, cosy restaurants, and many local Cracovians going out to enjoy a lovely night. And this is exactly our plan for the rest of the evening. 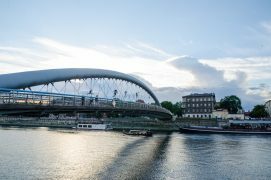 We cross over the Father Bernatek Footbridge, a true masterpiece of architecture and a perfect spot to enjoy the views of the river. It is also a perfect setting for a temporary open-air exhibition of the most amazing acrobatic sculptures, seemingly defying all the laws of gravity. 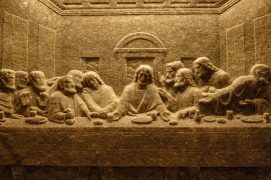 The nine figures form an the exhibition entitled ‘Between the water and the sky’ and were created by the Polish artist, Jerzy Kędziora. At the foot of the Father Bernatek bridge, surrounded by tens of restaurants and bars, we find “Zakładka” Restaurant. It oozes sophistication and quality. The restaurant is almost always full in the evening, so making a booking is a great idea. 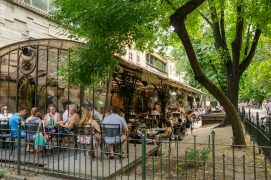 On a warm night, it’s a perfect spot to sit outside on the patio, enjoy an exquisite meal (we mostly recommend the classical French dishes but the menu is creative), excellent house wine, and live music coming from the footbridge. 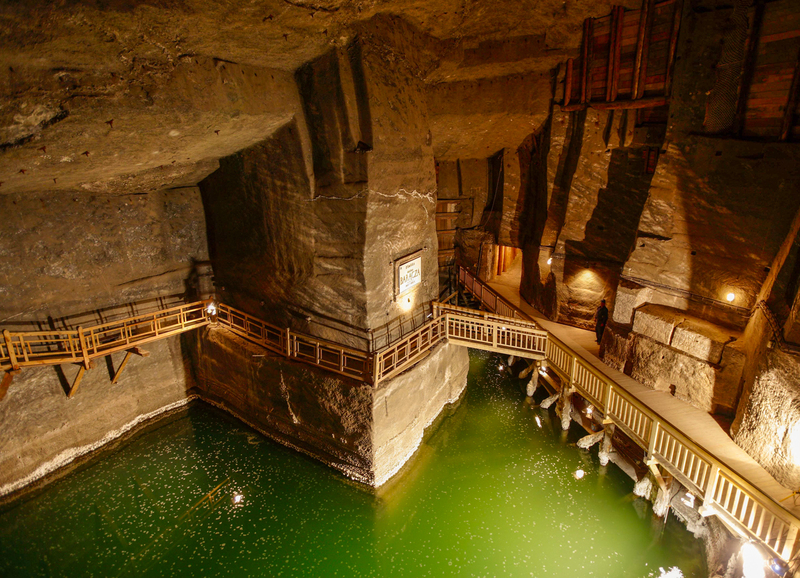 We wake up early and drive to the Wieliczka Salt Mine, a fascinating site created both by man and nature. 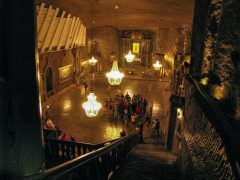 Naturally formed about 15 million years ago and operated for almost nine centuries, Wieliczka Salt Mine developed into a vast underground world. As we walk down the 400 steps into the salt mine, we have the impression we are entering an extensive, beautiful underground city. 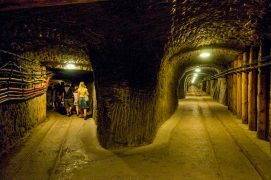 It is a complex labyrinth consisting of chambers, drilled out from the inside, and connected with richly illuminated underground corridors. 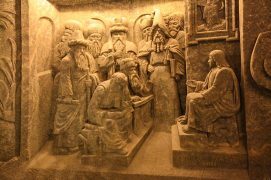 The 2 kilometer tourist route includes 22 chambers filled with backlit sculptures made out of translucent salt. 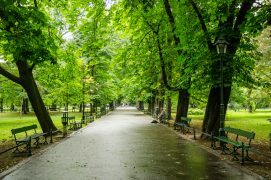 The temperature is 14ºC and its climate is therapeutic. 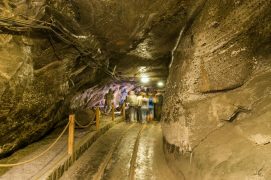 No wonder the salt mine is one of the most eagerly visited tourist sites in Poland. 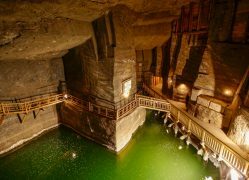 A guide shows us the ancient shafts and mysterious salt lakes. We discover a collection of mining machines and equipment, and pass statues dating back to the 18th century depicting mythical, historical, and religious figures. 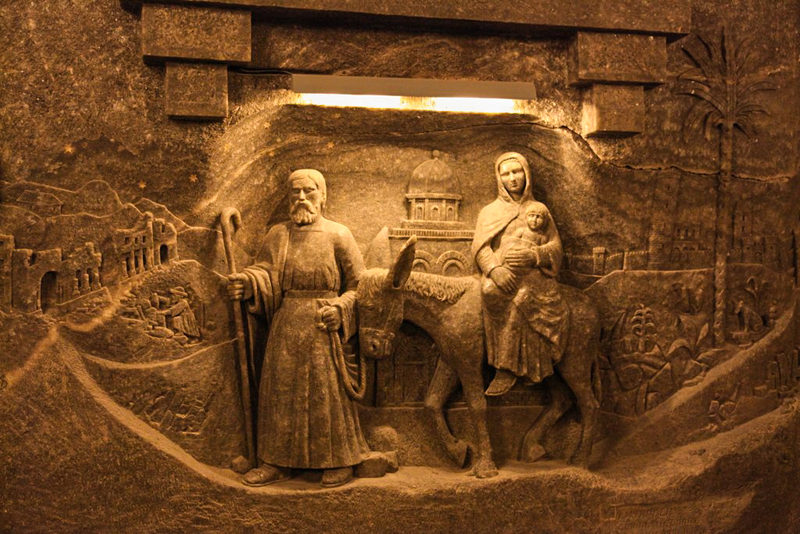 The most striking sight in the whole tour is St. Kinga’s chapel, a subterranean church richly decorated with chandeliers, sculptures, and religious figures carved out of salt. 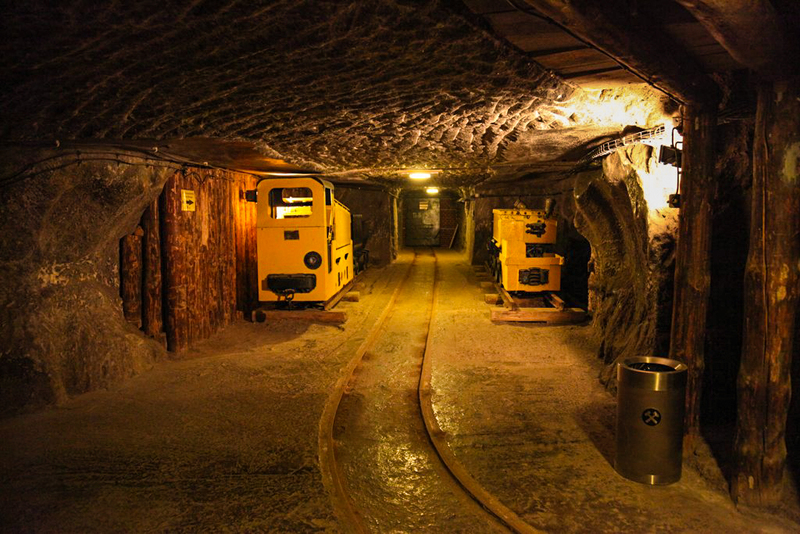 We leave amazed at the devotion and superstition of its initial creators, the miners. 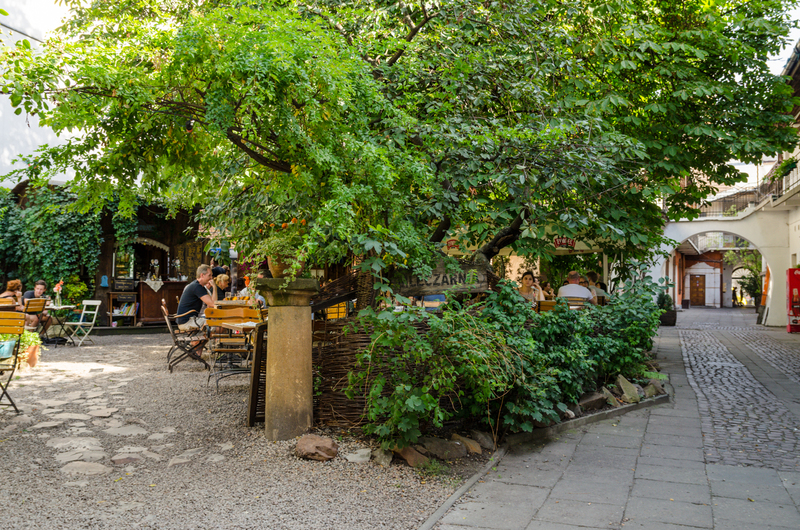 At the end of our tour, we take a coffee break in a cosy, underground restaurant. 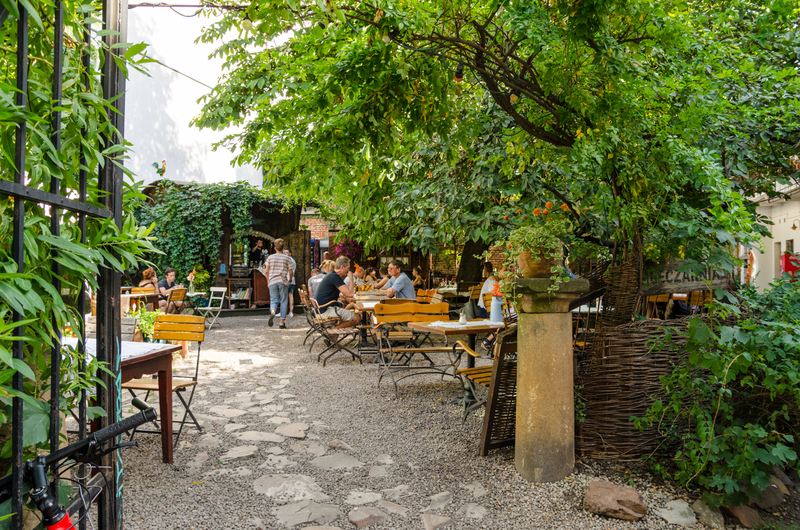 For lunch we choose La Campana, a lovely restaurant located on Kanonicza St. It is slightly hidden away from the usual hustle and bustle of the main square and is a perfect midday respite. 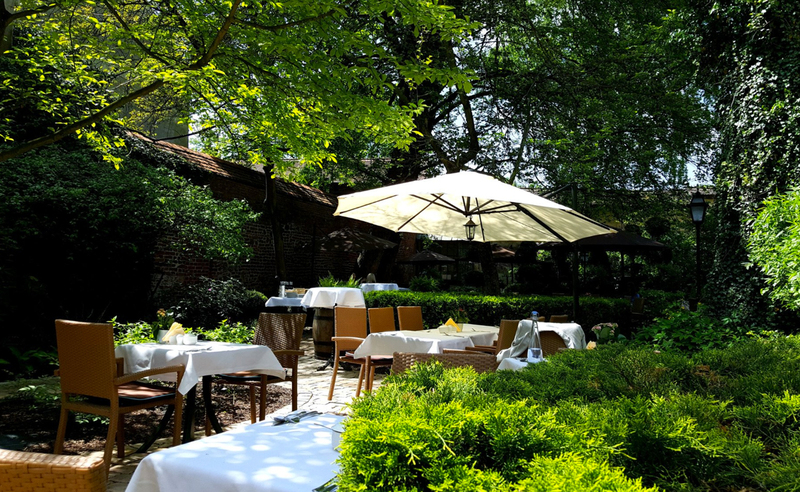 We enter a secluded, beautifully maintained garden with tables set up for dining. It is an oasis of calm, and for a moment, it feels like rural Italy instead of the centre of Kraków. The food is superb. It’s simple but rich with flavour. We order baked pear with infused gorgonzola cheese, tomato soup, four types of pasta, and sirloin steaks with cheese sauce. 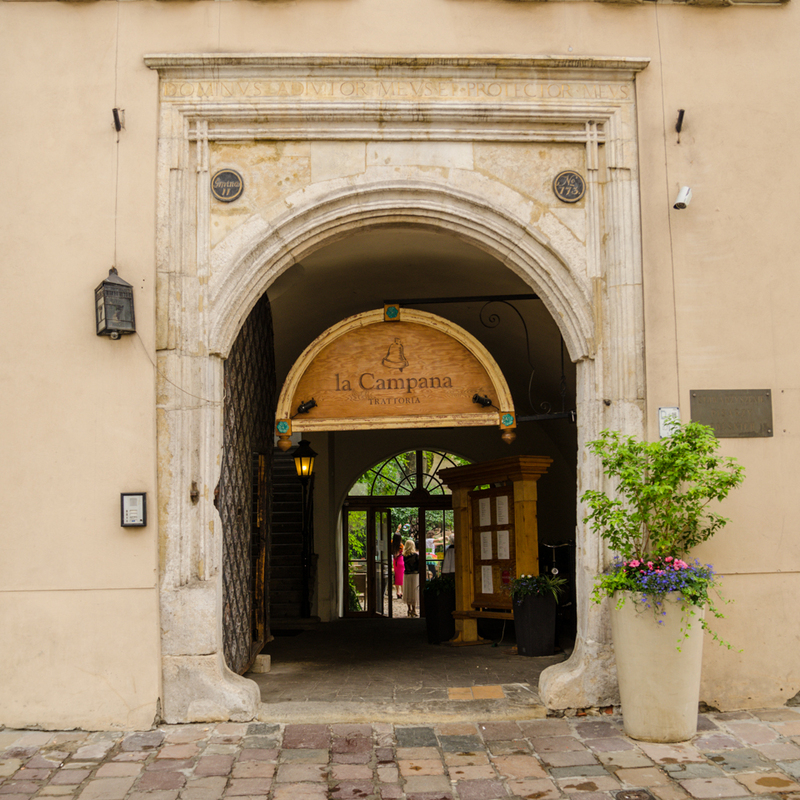 La Campana is a must-visit if you love Italian food. We head to Wawel Hill, the seat of Polish kings for over 500 years. One can’t really see Kraków without visiting the castle overlooking the city. It’s definitely our most-beloved historical landmark. 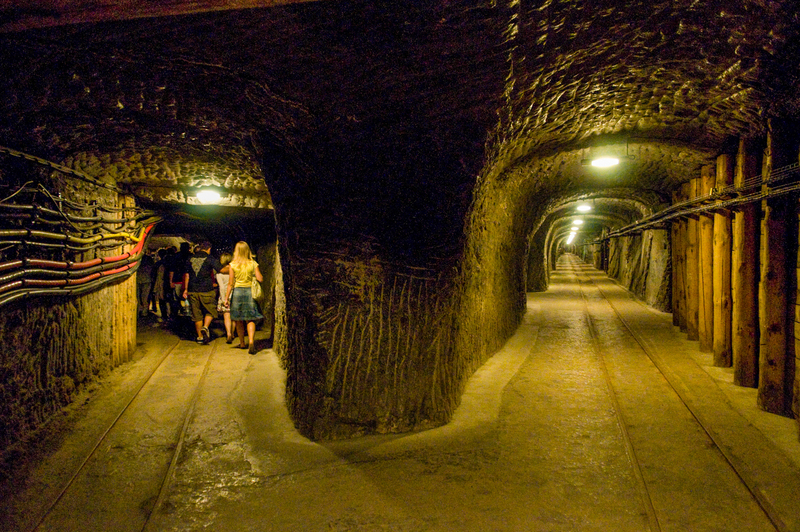 You can customize your tour, choosing a la carte from the sections of the fortress you would like to explore. The Royal Castle here is a magnificent Renaissance construction. It houses state rooms and private royal apartments. Particularly notable are the 30 wooden heads on view in the coffered ceiling of the Deputies’ Hall. The beautiful arcade courtyard is impressive with its monumental layout open to the sky, and is spacious and brightly lit. Poland’s most treasured work of art, Leonardo da Vinci’s “Lady with an Ermine” is usually on display in the museum. 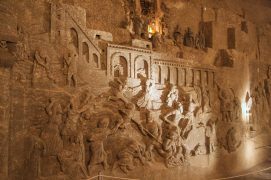 We allow plenty of time to explore this site as there are many stunning works of architecture to see and fabulous stories to be heard. We won’t miss the magnificent, 14th century Wawel Cathedral and the view of the Vistula River from the Castle grounds. 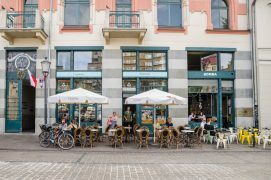 If you get tired, there is a nice cafe where we can stop for a coffee or pastry. However! Beware of the dragon that according to ancient legend, lives underneath the castle. 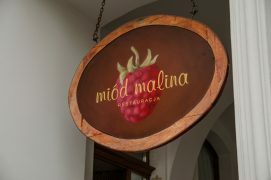 For dinner, we make our way to Miód Malina. 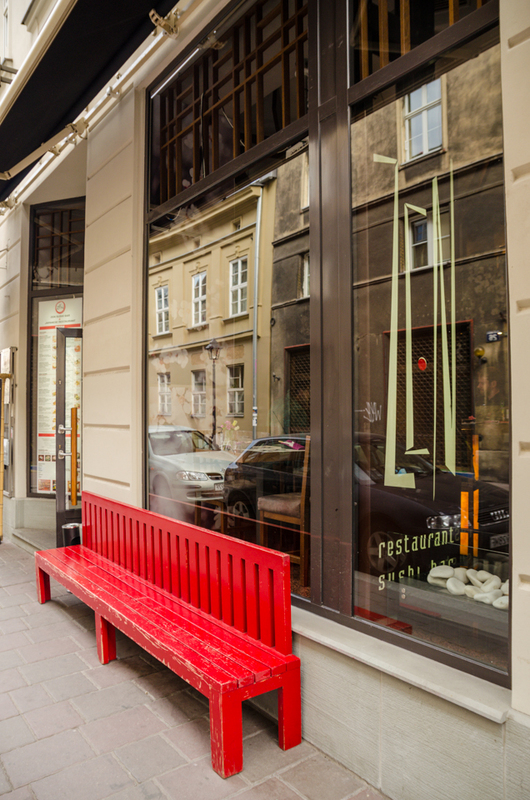 The restaurant’s menu offers real staples of Polish cuisine, cooked to absolute perfection. The portions are generous, which we happily welcome after a long day of sightseeing. The potato pancakes, dumplings, and apple pancakes (we wouldn’t skip dessert!) are sublime. The service is friendly and welcoming, and we are soon made to feel as if we are regular customers. 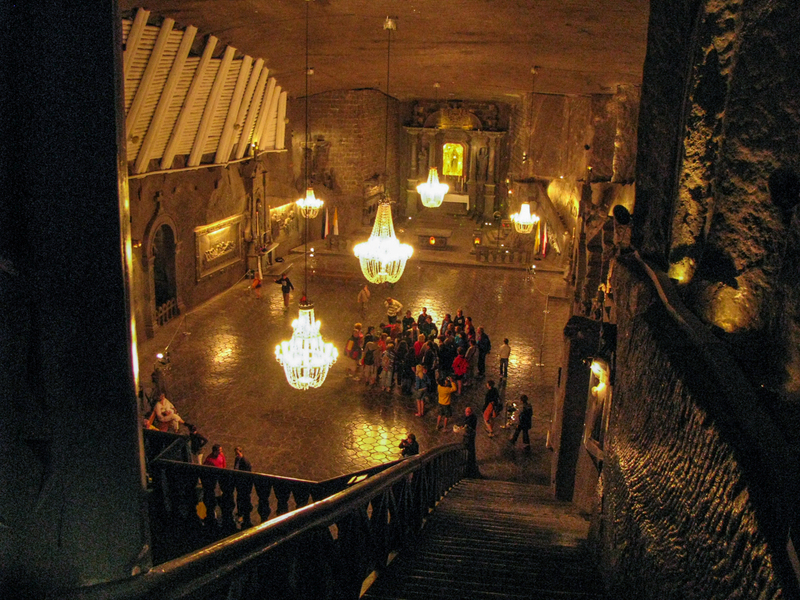 Next, the plan is to treat ourselves at Krakow’s best kept secret. We turn up at the address, but the bar is nowhere in sight. The entrance raises eyebrows and everyone is amused as we figure out how to get inside. We won’t reveal too many details here so as not to spoil your fun, but we will say that the way to the most vibrant of Kraków’s speakeasies is through a cloakroom. Then you are on your own. Hope it helps! Once we’re in, it’s like stepping into the 1920’s. We order classic cocktails and they are magnificent. The bartenders are all experts in their trade and make up drinks on the spot. Not only do they know what they are doing, they are gracious, friendly, and very fun to talk to. And don’t get me started on the live swing music. Dress up, come with high expectations and I assure you, they will be exceeded. We should keep Mercy Brown a secret, shouldn’t we? 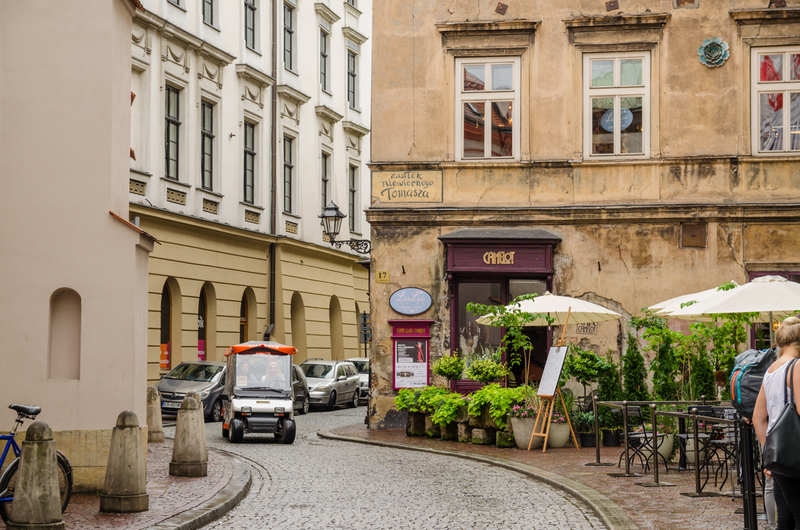 The key to enjoying Kraków is not to rush it. After intensive two days, we ditch the itinerary and decide to take things slow. 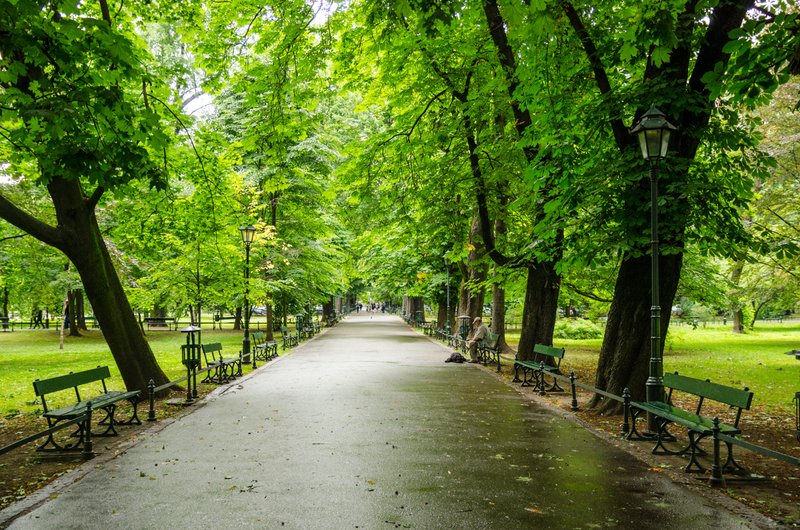 We take a walk through the sunny Planty Park, Krakow’s green lung, taking in views of the castle. We stop for breakfast in Bistro Charlotte, one of the most popular places that serve French style breakfast with freshly baked Croissants, Baguettes and home-made jams and spreads. 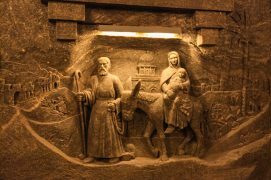 It is quite popular and a great meeting place for friends and family. The vibe of the place is great — albeit busy at times, it’s very relaxed and spacious, the staff is friendly, and the food delicious. 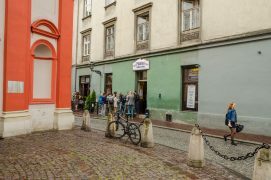 After long breakfast we turn up on the Main Market Square just in time for the famous hejnał mariacki – the bugle call played from the tower of St. Mary’s Basilica every hour. We take a moment to admire the church’s mismatched spires before stepping inside to see its magnificent altarpiece. 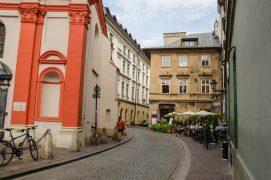 Krakow’s central Old Town historic district, mostly turned into a pedestrian precinct, is stuffed with shops of all sorts. Diverse retail stores line every street in the area. 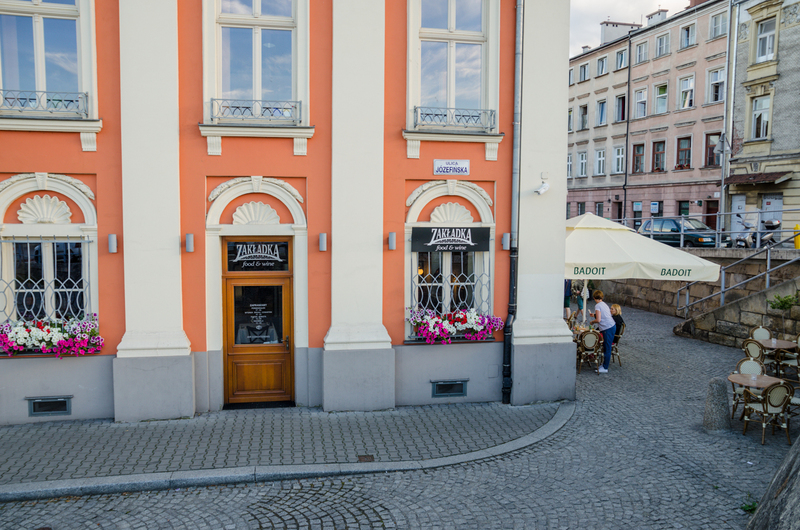 The main commercial strips are Florianska Street, Szewska Street, Grodzka Street, and Slawkowska Street. 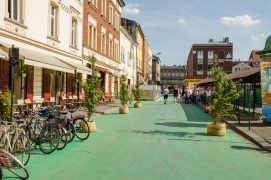 That’s where you’ll find a number of shopping gems in the form of antique shops, fairs/markets, jewelery and clothing shops, traditional food shops and places where you can purchase souvenirs. If you want to get some shopping done, perhaps it’s best to get a bit lost. After a few hours of strolling around we stop by at Zen Sushi Bar on Tomasza Street. 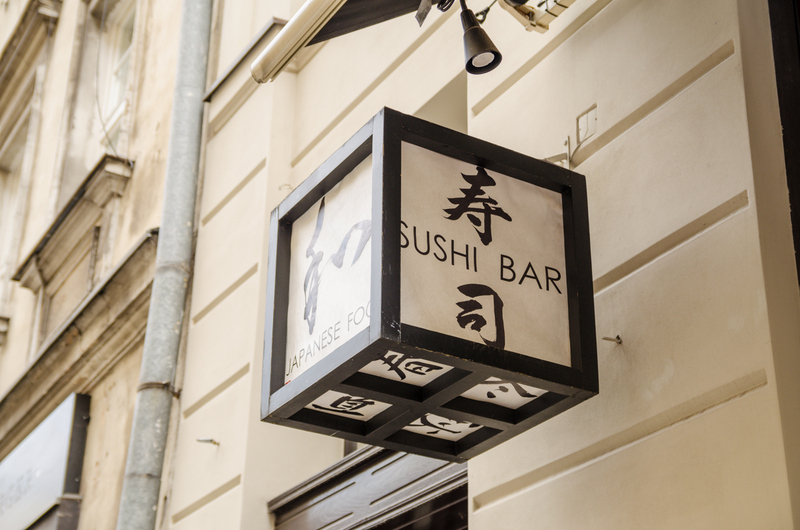 You can either choose to sit upstairs at conventional table or try the sushi bar downstairs. I recommend the latter. There you can observe how your food is made, pick it up from small boats sailing around the bar and enjoy the nice conversation with skilled sushi masters. Menu is rich and adventurous – just ask for advice and go for the coloured plates in the “river” or go a la carte – everything is exceptionally fresh! This concludes our perfect three days in Kraków. 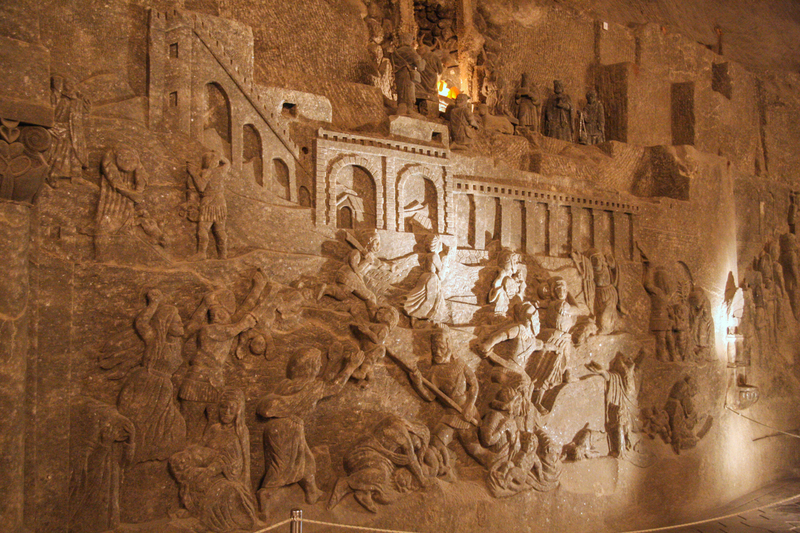 We unhurriedly walk to Stradonia while admiring the sights and enjoying the atmosphere of the city. On our way we stop at Pijalnia Wódki i Piwa for a goodbye toast. Until next time!